Tidying up our bikini lines is not a task many, if any, women enjoy. You have two options: growing it longer than is publicly acceptable and having a qualified beautician painlessly lob it off or doing a DIY job whenever necessary. While abstaining from shaving or waxing your pubic hair comes with its own set of problems, this woman's painful review of shop-bought wax strips will make you never want to go anywhere near your own bikini line ever again. Disclaimer: if you're squeamish, you may want to sit this one out. For those of you who aren't and could do with a good laugh, allow me to introduce you to Hannah Scorer - the woman responsible for articulating every female's thoughts on cheap wax strips in such a hilarious manner, she's gone viral. Hannah was hoping to save some cash on a bikini-line wax and did the frugal thing of buying some at-home wax strips from Boots but rather than getting a smooth bikini line - as the packet implied - she ended up with a 'fanny that looks like a bright pink newborn panda' and a brilliantly relatable account of the whole thing which has rocketed her to social-media fame. Hannah shared her experience on Boots UK's Facebook page in a post which she branded the pharmacy's own-brand waxing strips "the worst in the world" which were so unqualified for the job, she recommend Boots "gift them to the construction industry as an alternative to cement". If you've ever had the pleasure of using cheap wax strips, you'll be able to relate to a bikini line resembling 'the dancefloor of a really questionable club at 3am' i.e. sticky AF. "Boots, we need to have a word. These are, categorically, the worst wax strips in the world. I haven't tried all the other wax strips, but I'm confident I don't need to. That's how bad these are. *the 2005 film House of Wax, starring Paris Hilton. ​You're probably questioning just how bad they could be. Well, gather on the carpet because it's story time. Last night, I decided to use your wax strips to tidy up my bikini line. I know, right? You can almost feel the burn. But it's worth it for that silky smooth skin. So, I followed your instructions on how to use the strips. It's not rocket science, but it's best to be sure, isn't it? You wouldn't want waxing to go wrong, would you? So, as instructed on the back of the pack I warmed a strip, stuck it down, endured the brief but childbirth-level pain intensity of ripping it off, and looked down, ready to admire a peachy beach-ready inner thigh. Do you know what I saw instead, Boots? All the hair I'd just tried to take off not even slightly detached from its follicles. Except now, matted firmly into the hair was a thick layer of wax. Have you touched that wax when it becomes separated from its strip? It is so sticky it could have held together the original Sugababes line-up. My bikini line was like the dancefloor of a really questionable club at 3am. I was slightly panicked until I remember the wax residue removing moisturising wipes included in the box of wax! It will all be ok, I thought, for the wipes will resolve this. I took one of the wipes and started trying to rub off the wax/glue/melted Push Pop hybrid. However, instead of rescuing my skin, the wipe becomes trapped and bits of it tear off and firmly adhere to my waxy, furry skin, like a series of tiny surrender flags. This would be bad enough in any situation, but do you know why I was waxing my bikini line, Boots? I had a date. I've been out of the dating game for a while and I appreciate things change, but this wasn't learning Tinder, this was my fanny looking like something from the Blair Witch. The Blair Witch, Boots. So, I got in the shower, and exfoliated off as much of the gunk and tissue paper mixture as I could, before dealing with the area with a good old-fashioned razor. Or I tried. But the wax had to continue its campaign to ruin my life, and it immediately blunted the razor. Eventually, with repeated exfoliation the use of a large amount of very expensive oil I usually save for special occasions and a replacement razor blade, I manage to finish the job the wax strips didn't really start. My fanny looks like a bright pink newborn panda, but at least the hair is gone. So is my will to live and half the products in my bathroom, but at this point I'll salvage a win wherever I can. So that, Boots, is why these are the worst wax strips in the works. Please remove them from sale immediately and gift them to the construction industry as an alternative to cement. Or pass them on to local councils looking for some anti-climb paint. Anything that doesn't involve hair removal really. 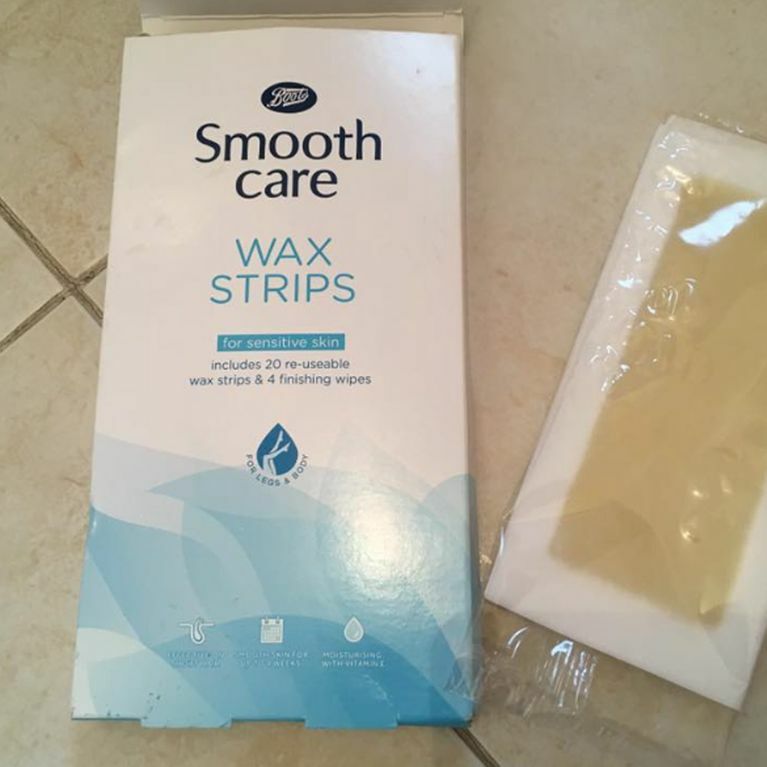 Hannah is calling on Boots to remove the wax strips in question from their shelves immediately but it seems her gripe has fallen on deaf ears as last time I checked (this morning) they were still available to buy in my local branch.